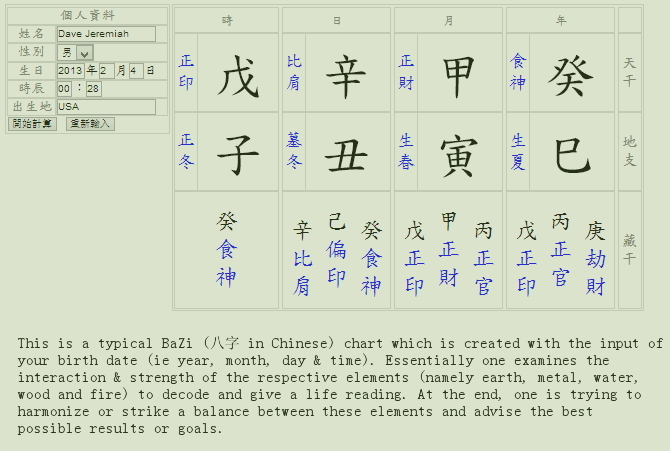 BaZi (literally Eight Characters in Chinese) (click here for a sample BaZi chart) is an ancient Chinese metaphysics that has stood the test of times and remains valid till today. This is because its degree of accuracy has proven repeatedly to be extremely high and relevant through the years. However, the incomprehensible Chinese classical text and different interpretations make BaZi challenging and difficult for most people. 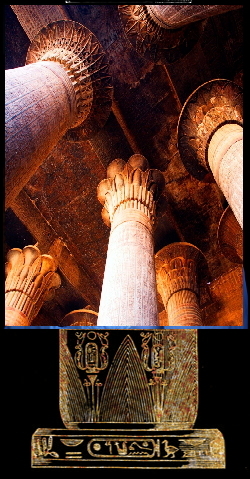 For this reason, this ancient study is easily being stereotyped as something beyond reach. It is by pure coincidence that Danny Chu chanced upon this ancient Chinese knowledge after his encounter of a heart attack. On the other hand, his teacher has given substantial voluntarily sponsorship to monasteries in return for direct access and transmission, from the monks, of some rare & hardly accessible text. Under constant practices and continuous in-depth studies, Danny has grasped the understanding, techniques, principles and logic of BaZi metaphysics. With this accumulated knowledge and experience, he has organized and put them together in the BaZi course to share with his students. Through Danny’s unique teaching, BaZi is being presented into a comprehensible & interesting study; a practical knowledge that you can relate to and apply in your daily life. You may be facing with some uncertainties in your life or wondering about repeated coincidences. Once you begin your lesson in this BaZi Entry Level, all these questions will be duly transformed into life’s ah-ha moments! And the secrets to decode your life destiny are all embedded within these eight characters! If your Day Master is Bing (one of the 10 heavenly stems), the symbolic representation is the sun. That is to say the person has to be like the sun ie he or she cannot be too slim and preferably round in appearance etc. The time of his or her birth is also important as nobody sees the sun after sunset hour. Introduction of the 10 gods. Understanding the roles & attributes represented by the 10 gods. Married couples are able to avoid martial affairs. Class will be conducted mainly in English. However, please let us know your proficiency in Chinese. For those who are foreign to the Chinese characters, I will formulate the corresponding pinyin that you can easily follow along.